This is a sponsored post from Safari Ltd. Party Through the USA received free toys in exchange for this post. All opinions are my own. 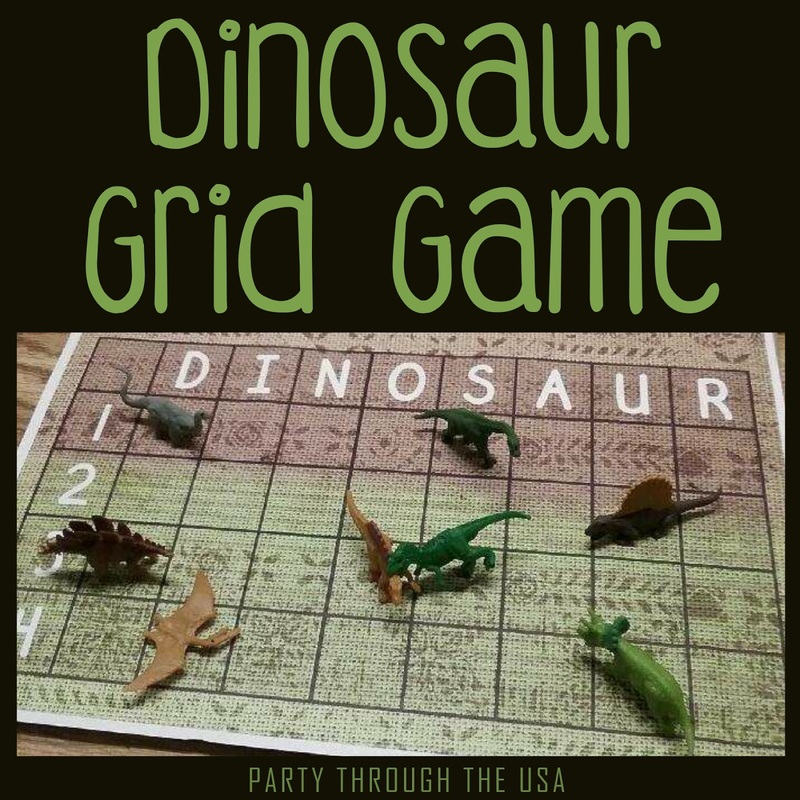 We're getting ready for a Dinosaur-themed road trip this spring, so I've been making lots of fun printables to coordinate. I'm also on a battleship-like grid game kick- I think I'll end up with one for every theme. I already have one that uses Oreo cookies, another with mini rubber ducks, one with goldfish crackers, and a few more. 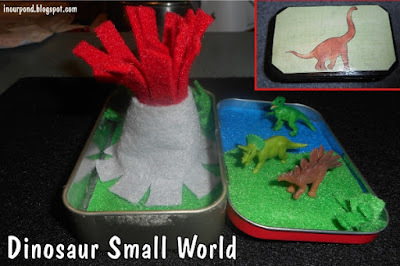 Several years ago, when I first started getting excited about crafting with Altoid Tins, I made a dinosaur small world with felt. 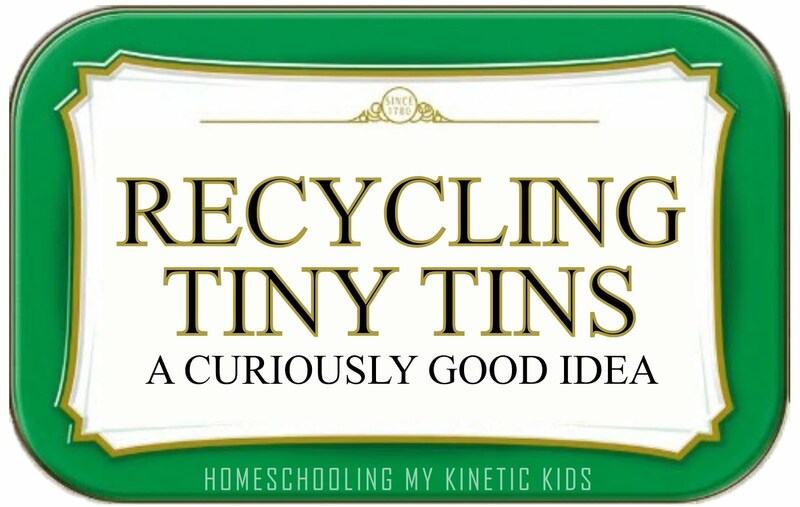 The kids absolutely loved the Good Luck Mini Dinosaurs that I used in this tin. They're adorable and so detailed, but the irresistible part is that they're squishy!!! My kids couldn't stop handling them and squishing them between their fingers. For my latest printable, I wanted to use the Good Luck Mini Dinosaurs again. Because the tiny dinosaurs stand up on their own, they're perfect to use as game pieces. 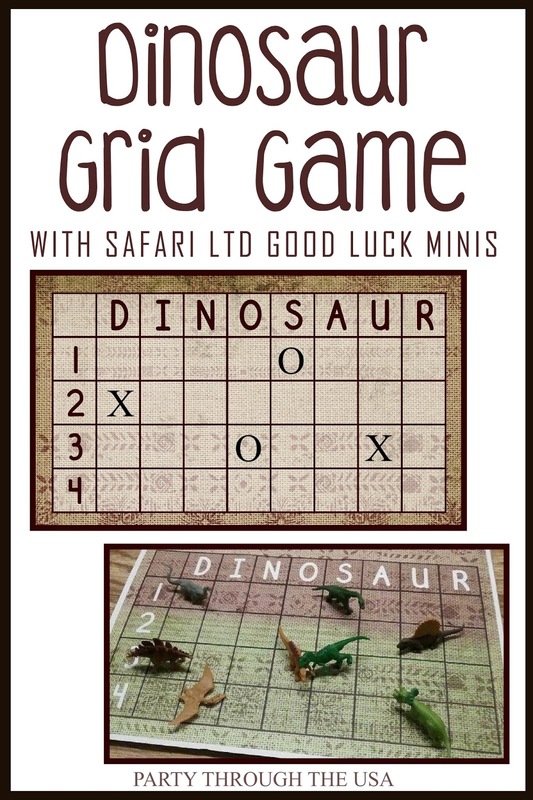 In this grid game, players take turns trying to find their opponents dinosaurs hidden on the coordinates. Just like the classic battleship game, the players can keep track of their hits and misses on the upright board, while their dinos stay hidden below. To make the game, download the printable and print the first page twice on cardstock (two pieces). Or, if you want to color your own board game, you can print the second page twice and have each player design their own dinosaur world. After the boards are done, I recommend laminating both pages. To assemble the game, cut away the excess laminate and cut the top and bottom boards apart along the white line (making a 5.5 inch by 8.5 inch shape). Then, tape them back together with packaging tape, which should allow the boards to fold flat for storage. Place both opponents game boards back to back and clip the bottom edge of the upright boards together with clothespins to help the game stand up. Alternatively, you could secure them along the tops with paper clips; although, players might have to take turns holding it up. Because the game is laminated, right and wrong guesses (hits and misses) can be recorded on the upright board with a dry erase marker. 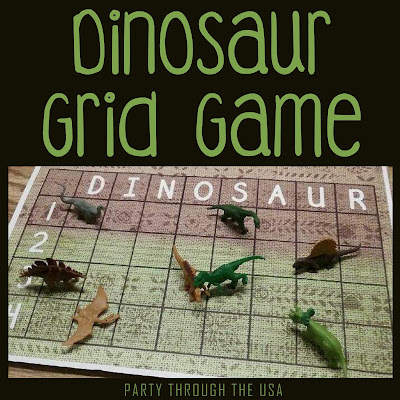 The game can either be played until all the dinosaurs have been found or until 1 person finds 3-5 of their opponents dinos, depending on how much time the players want to spend at the game. Oh, and did I mention that all the game pieces fit in an Altoid tin for safekeeping? You could even build the small world for your dinos to make two travel activities out of one! The game is free to download, so click the link below to get started! 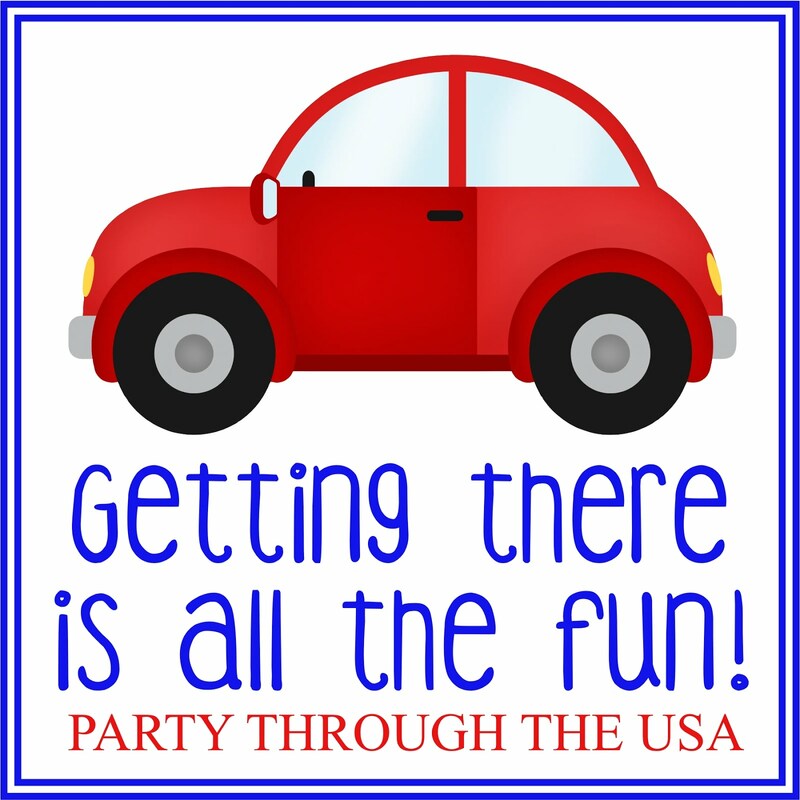 For Party Through the USA readers, Safari Ltd has given us an exclusive promo code! If you put "MissyP" in the discount codes box during checkout, you can receive 15% off your entire order! I'm very excited about this special offer, so click on the link above or below to shop at Safari Ltd's website. 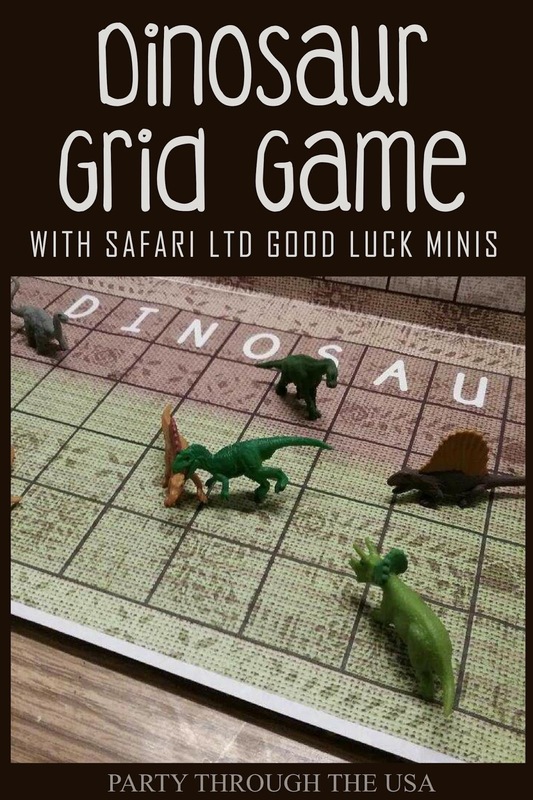 Ge sure to check out their entire Good Luck Mini collection and all their awesome dinosaur toys! I've love spending my time in between road trips crafting and figuring out better ways to organize all the little things that are part of our journeys. Lately, I've been thinking about our bluetooth radio transmitter (we have one that fits in a cupholder) and charging station in the car and some ways I can make it more functional. 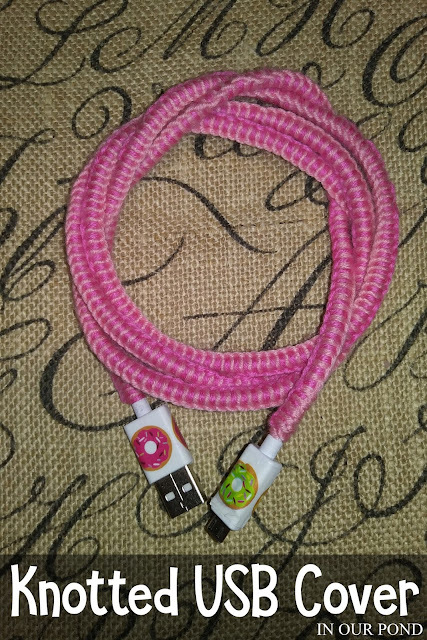 I just ordered longer USB cords which should make it easier for us to manipulate our devices around for use while they charge. I'm also thinking about ways to secure the cords and keep them out of our way while we're using the cords. Perhaps I'll buy some cord clips to attach to the dashboard. 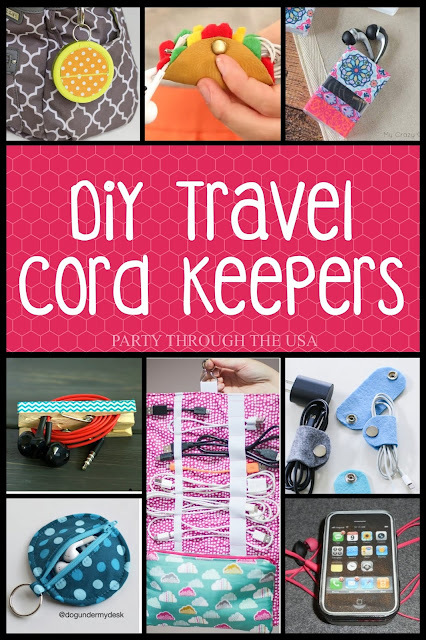 When we're not using the cords and want to store them in our car or in my purse, I wanted to DIY a special place to keep them. 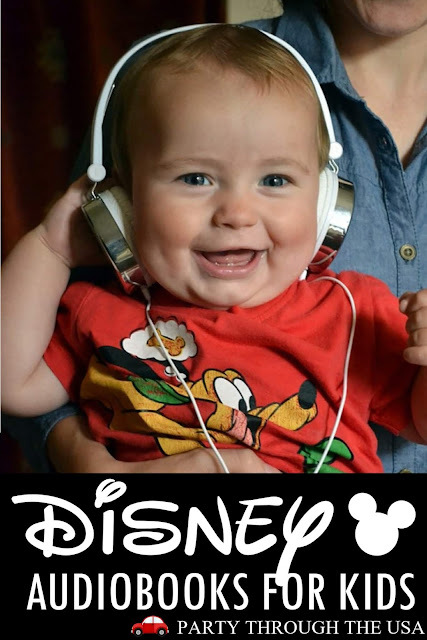 I hopped on the internet to check out what other people had done and thus this post was born. This round-up features lots of recycled containers, which is always wonderful. I haven't quite decided what I want to make, but I'm leaning toward the round one with the hanging clip. 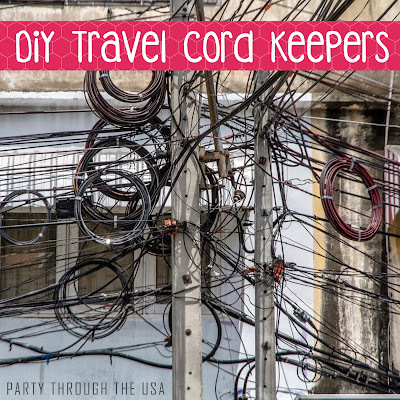 I don't know about you, but I always need more charge cords! Find what you need on Amazon! Dice is great for camping and other types of travel, because they're tiny, heavy, and washable. They don't take up very much room in your luggage and can often be stored in an altoid tin. Most dice have some weight to them, so you don't have to worry about them blowing away if you're playing outside. Lastly, plastic dice are washable, in case they end up in the mud or get grimy from being played by lots of people. 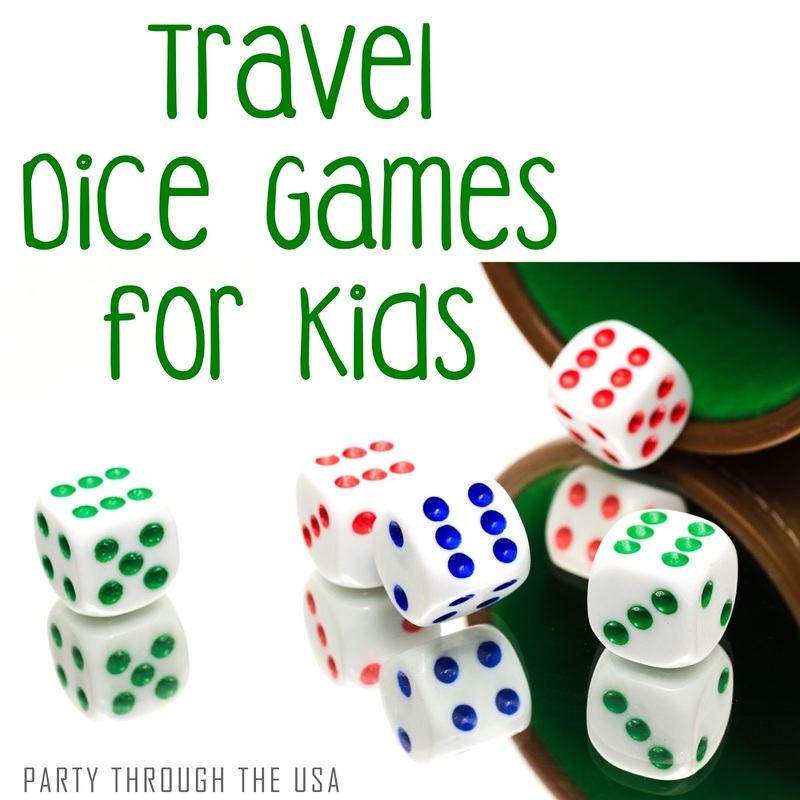 As we approach primary travel season, I've rounded up some awesome dice games from around the web. Dice is good for math practice, too. 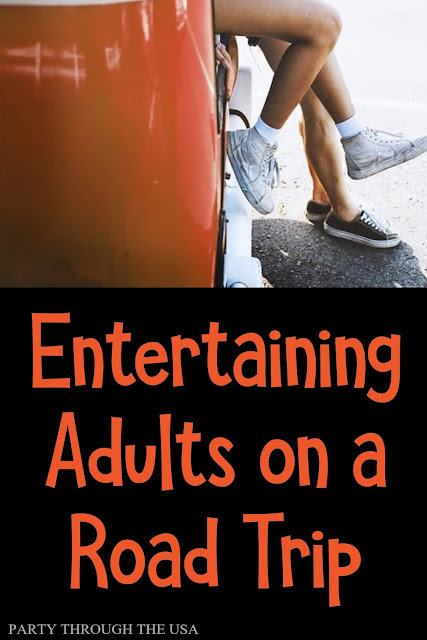 As a homeschool family, we're always looking for ways to add fun into our school time. Many of the games in this post promote number recognition, addition, probability, multiplication, and other math concepts. 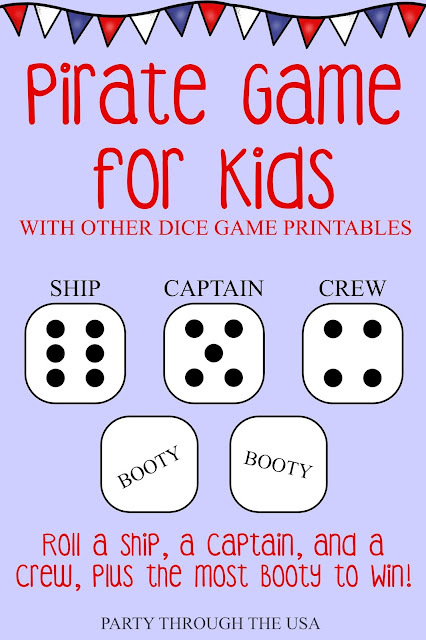 I've also simplified many of the games to make them easier for kids to understand and win. The game is played with each person taking turns. The goal is to get as high a score as possible on each round without rolling a one. If/when you roll a one, you lose your entire amount for that round. You can quit whenever you want after the first roll, adding the total to your game score. First to 100 wins! Although this game can be worked with simple pencil and paper addition, I've also included some 100 box score sheets that are small enough to fit in the Altoid tin. Print off as many as you want and laminate them to use over and over. Be sure to pack some white board markers, too. This game is a very sneaky way to practice adding 3 numbers. 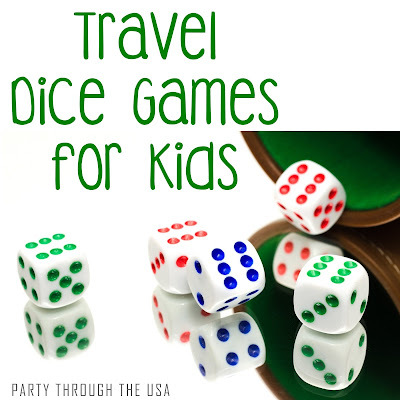 Each player takes turns rolling the dice three times. On the first roll, the player rolls all three dice. The highest number from that set gets put aside and the other two dice get rolled again. The highest of those two numbers gets put with the first dice, then the last dice is rolled one last time. The player then adds the three dice number together. The game can either be played one round at a time, where the winner is the player with the highest score or it can be played to a certain number like 50 or 100. Print off the game boards from the Glue Sticks blog, one for each player. Everyone rolls their dice at the same time and tries to fill up their board with the counters (rocks, snacks, mini erasers, etc). The winner is the one who covers their entire board first. Decide ahead of time if you'll be playing for number recognition, addition practice, or multiplication drills. If you're doing number recognition, use one dice for the game. For addition and multiplication, use two or three dice. This game works best with two players, who each have a pile of 5-10 counters in front of them. 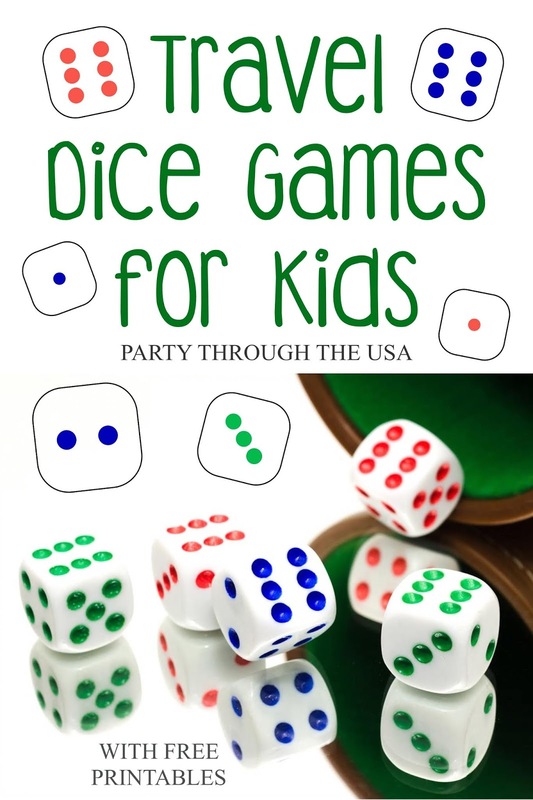 Each player takes turns rolling the dice, and either records their one dice number, their addition quantity, or their multiplication product. The winner of the round is the person with the highest number, sum, or product. The loser must give one counter to the other player. When one person has all the counters, they are the winner. The rules on the Eighty Games blog are much more complicated than the ones I'm going to state now. Each player will take turns rolling the five dice three times each round. The goal is to roll a six (ship), a five (captain), and a 4 (crew). If you fail to roll all three of those on your turn, you take a zero for the round. 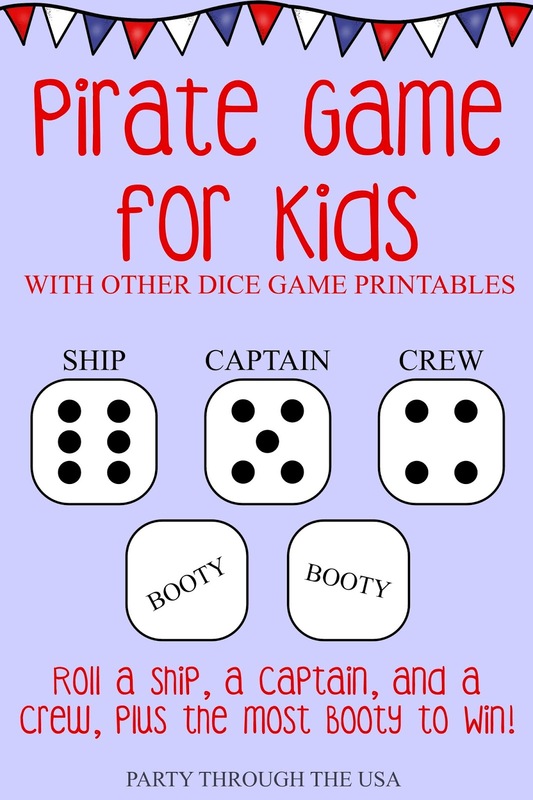 If you do get the ship, captain, and crew, then the last two dice values are your pirate booty. Your total for the round is your amount of booty. Play each round as it's own game or work toward a certain total. Decide what you want to draw and what side of the dice each part will be. For example, if you were going to build a face, then you might say that the 6 is the lips, the 5 is ears, the 4 is eyes, the 3 is nose, the 2 is hair, and the 1 is an accessory. Each player rolls the dice one time per round and draws what they roll. If you roll a number that you've already done, then you pass your turn. The winner is the first person with a complete drawing. Make it seasonal with a holiday theme or relate it to your vacation destination. I like to cover the inside of my Altoid tin with peel and stick felt, which gives it a professional look and helps muffle the dice sound. Unfortunately, the tin isn't deep enough to be a dice cup, so a different tin might be a better option depending on your needs. 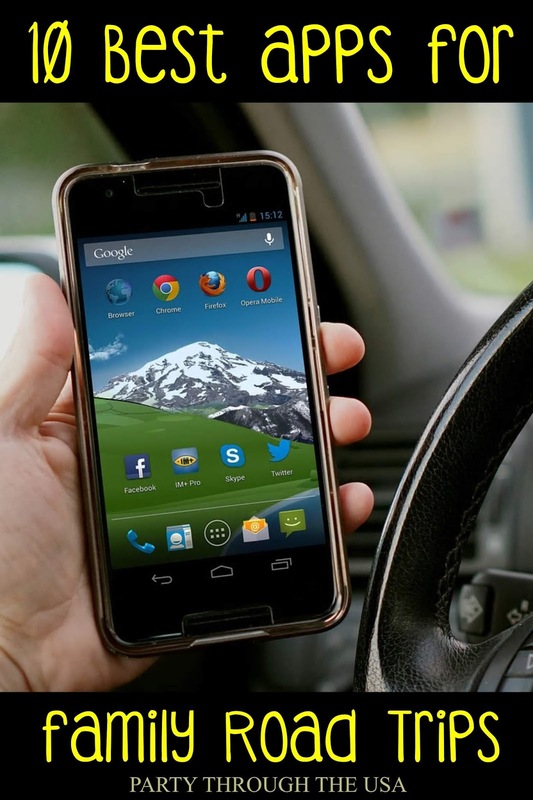 Although we say that our road trips are "screen-free," the driver and adult passengers rely on several apps to make our trips better. 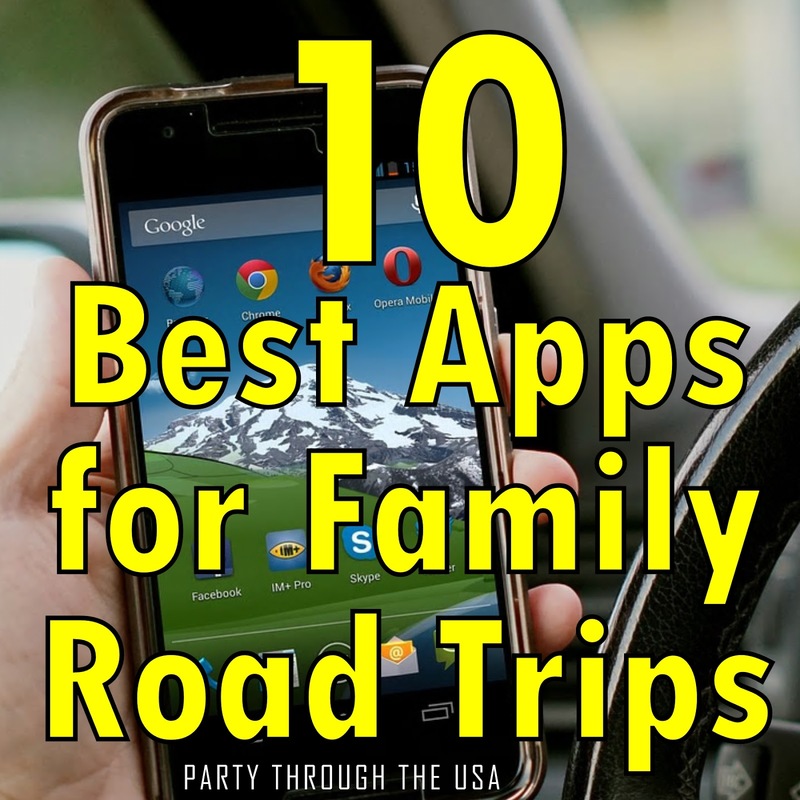 To make it even better, all of these apps are free for download! 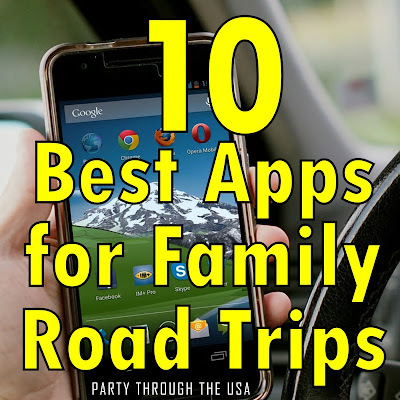 Several of these apps, we use all year long to enhance our normal driving times and around the house. Click the colored words to download them for your next trip.